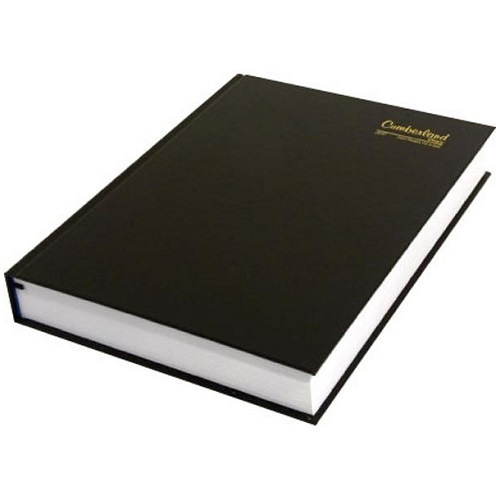 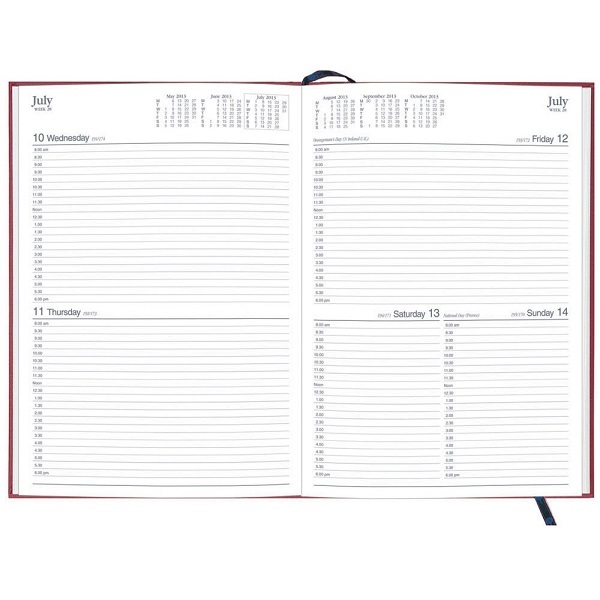 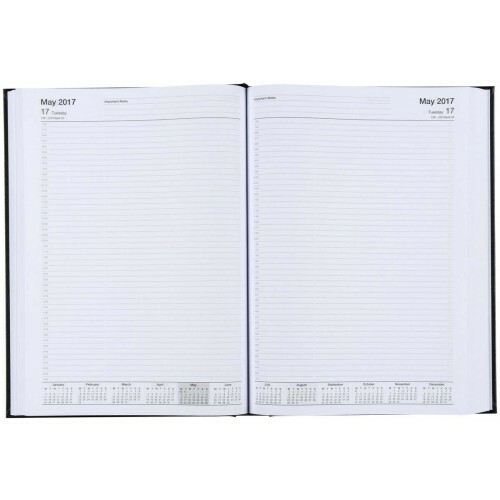 This series of diaries features a range of page formats and appointment times to suit many professional needs. 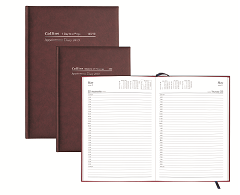 Available from early 2018 to cater for all your 2019 and 2020 needs. 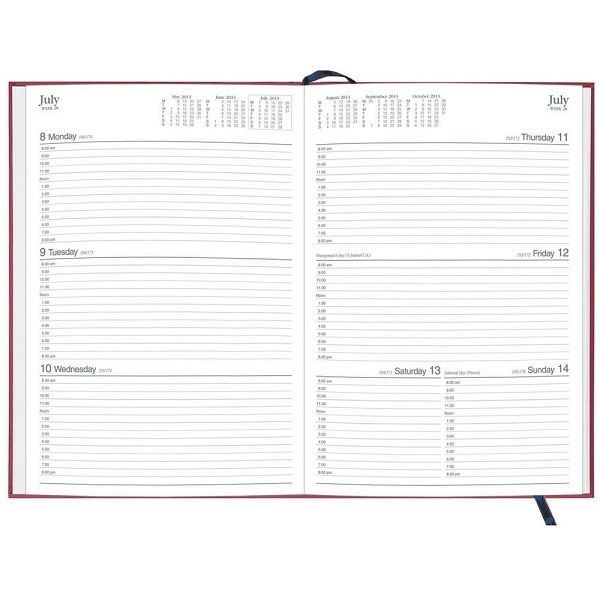 Bound in a soft look burgundy cover, section-sewn for extra strength and with times printed clearly down each page, the page layouts include six-month calendars, week counts, Julian day counts and national and international holidays on the days they occur. 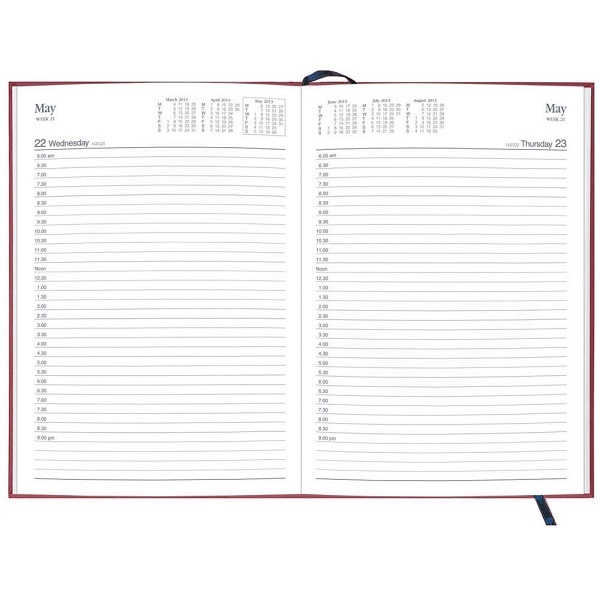 Appointment diary in a format to suit many professional needs. 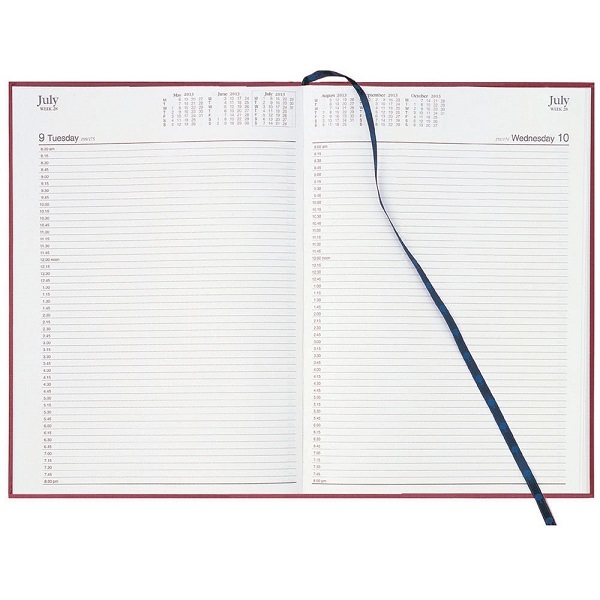 Early edition appointment diary in a format to suit many professional needs.